When Charles Richard Drew was born—June 3, 1904 in Washington D.C.—the four principal blood types had only recently been discovered. Little did the world know that this tiny baby would become the father of the modern blood bank in the United States. After all, baby Charlie was merely the son of a carpet layer and a homemaker. And, as an African American, he had to combat fierce opposition and societal obstacles to achieving his career goals. But the triumphs of the future rest in the grit and determination of today. According to the U.S. National Library of Medicine and documents at Howard University's Moorland-Spingarn Research Center, Charlie's "[U]upbringing emphasized academic education and church membership, as well as civic knowledge and personal competence, responsibility, and independence." Young Charlie grew up in Foggy Bottom with three younger siblings (two sisters and a brother) and poured himself into athletics. At the age of twelve, he became a newspaper boy and soon had six other boys working with him (the better to cover a greater part of the city). Charlie's athletic prowess earned him a scholarship to Amherst—he was a star on both the track and football teams. But he also developed an interest in medicine after his sister Elsie died from influenza. Elsie's death, coupled with biology courses taught by Otto Glaser and Charlie's own hospitalization for a football injury, led him to apply as a medical student wherever black doctors were trained—Harvard, Howard, and very few others. If Charles Drew's story tells us anything, it is that vast expanses of human treachery were crossed by brave black intellectuals–all with the goal to achieve a better life for themselves, their families and their fellow citizens. As documented by the U.S. National Library of Medicine, "The racial segregation of the pre-Civil Rights era constrained Drew's options for medical training. Some prominent medical schools, such as Harvard, accepted a few non-white students each year, but most African Americans aspiring to medical careers trained at black institutions such as the Howard University College of Medicine in Washington D.C., or Meharry Medical College in Nashville, Tennessee." Drew was accepted at Harvard, but at the time the best place to be trained as a black doctor was McGill University in Montréal. He made his way northward. As a surgical resident, Drew worked with a prominent bacteriologist. John Beattie was studying ways to use transfusion as a treatment for shock. 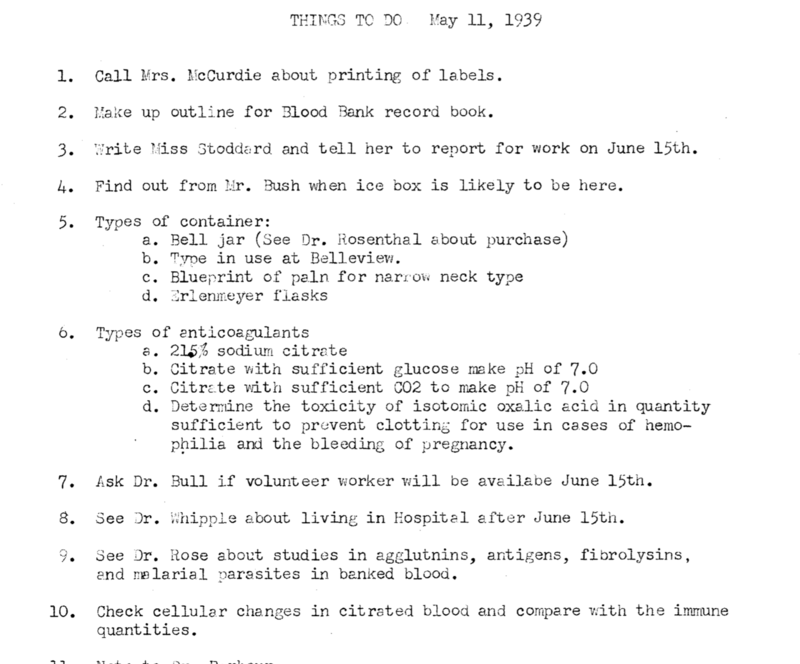 This connection became the catalyst for Drew's world-changing research in blood banking. In the ensuing years, Drew became chief surgical resident at Howard University College of Medicine. But just the same as Drew’s prowess as an athlete would not be his chief accomplishment, nor would his expertise as a surgeon and professor. 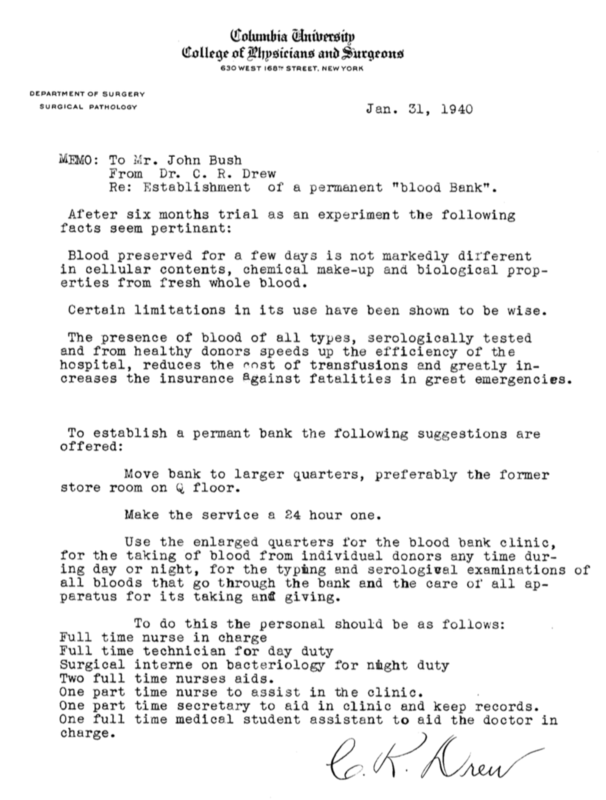 Along with John Scudder, a surgical lab director at Columbia University, Drew began to research the viability of sustained blood banking. 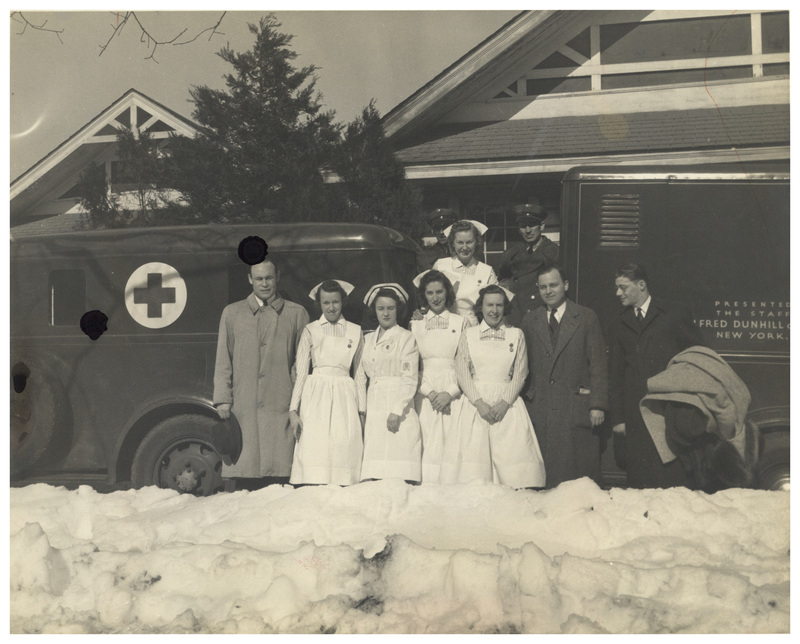 Aside from a World War I instance of temporary blood banking by a medical officer named Oswald Robertson, most blood donation occurred at urgent request—donors had to be vetted and reliable. They could be called on at any time. From then on, the world would know him as Dr. Charles Drew. A few months later, Dr. Drew was summoned back to New York City. His charge? Direct the Blood for Britain Project. The United Kingdom was under German attack, and both civilians and military personnel needed ample supplies of blood plasma. Within the year, Dr. Drew made critical assessments, changes and improvements to the processes of collecting blood and plasma—his work laid the groundwork for the modern blood bank, now a necessity of adequate healthcare. 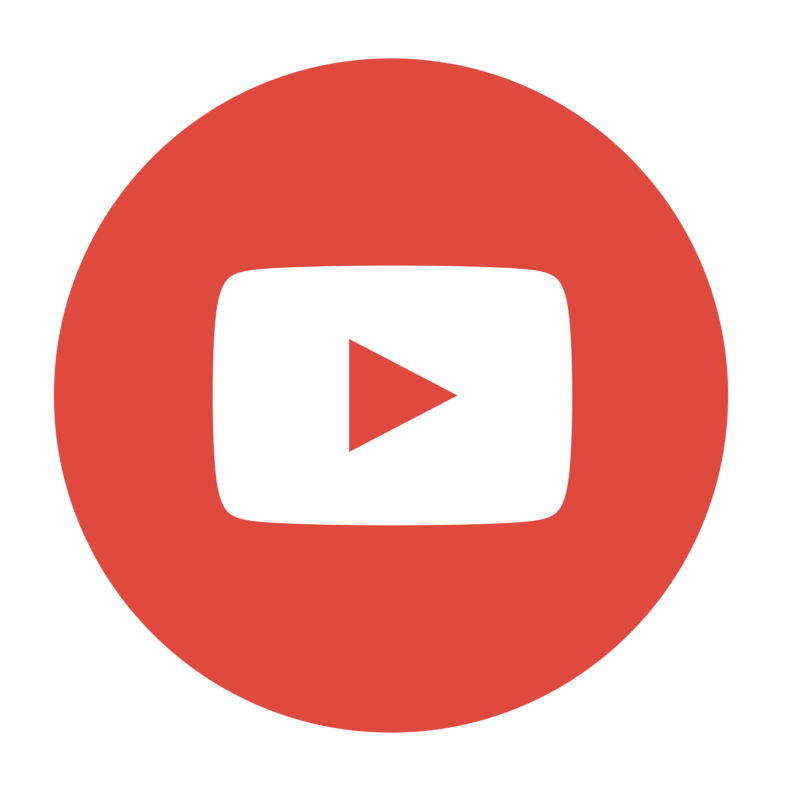 Have you ever wondered: Who invented bloodmobiles? 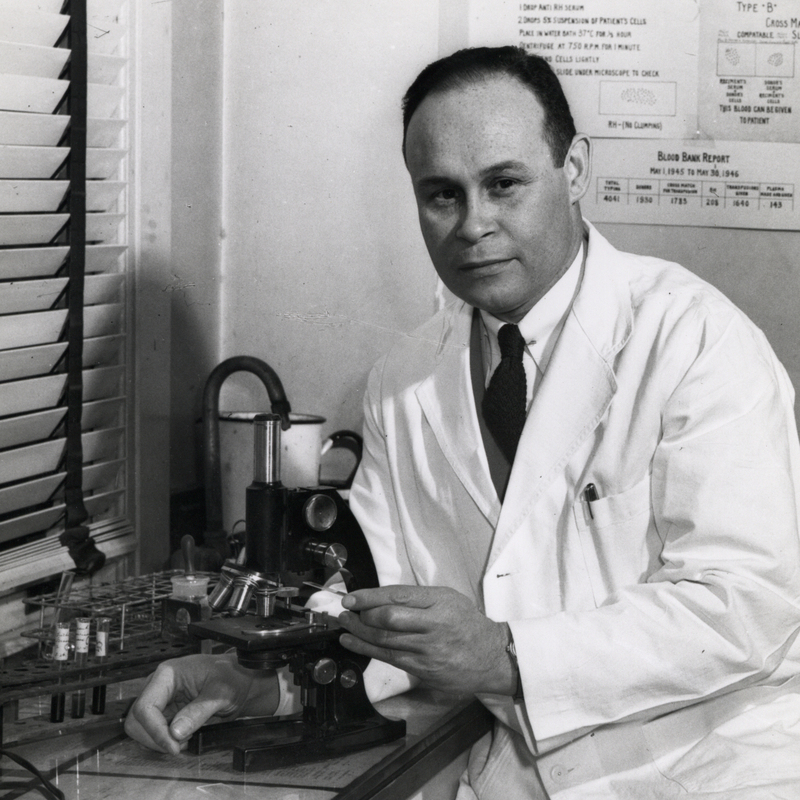 Dr. Charles Drew died in an auto accident in 1950, but his work revolutionized healthcare. Learn more about Dr. Charles Drew. 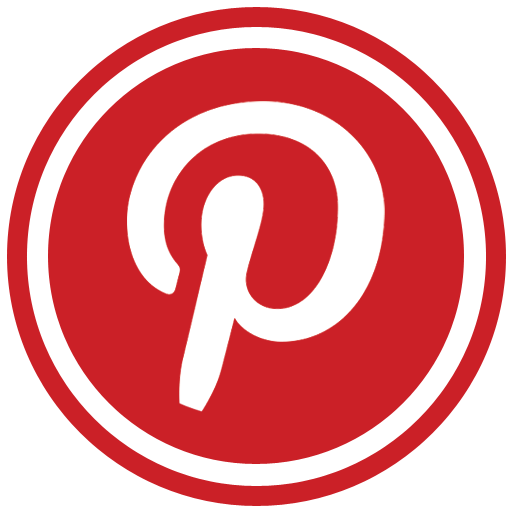 Images and documents were accessed via U.S. National Library of Medicine.